To prevent your helmet from chafing, an arming cap is a must-wear. Not only will it make your helmet more comfortable to wear, but this Padded Arming Cap will also help improve the fit of your helm while also providing some extra protection too. This cap is normally worn under the helmet or chain mail for comfort. This Padded Arming Cap is manufactured with heavy cotton shell, lined with cotton and padded with foam. 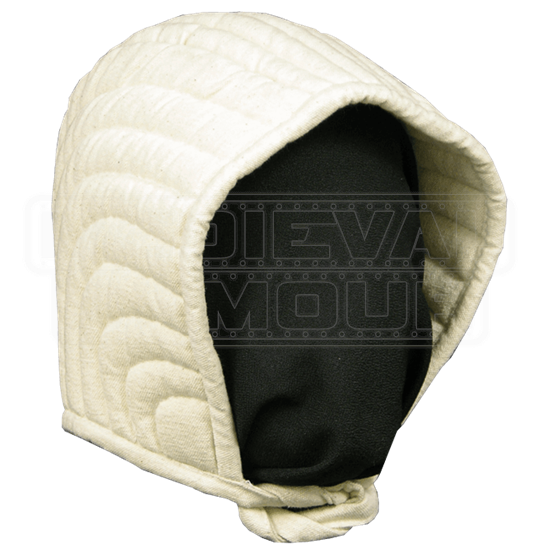 That extra padding ensures that your helmet will not move when you wear it, while also helping to negate some of the force you might experience if you should suffer an accidental blow to the head. This padded arming cap is dry clean only. As warriors rise from the grave, they will appear in a wide range of armour styles. 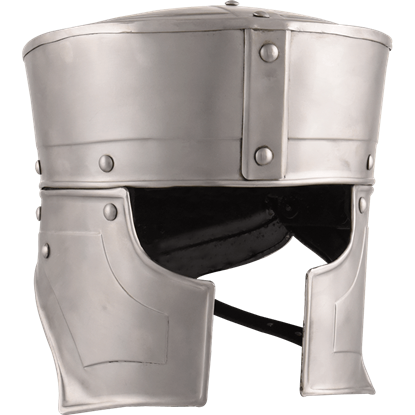 The Steel Undead Helmet blends various elements of historical helms in a design that will go great with fantasy or medieval ensembles.